HP iQuote now supports Collaborative and Proactive Care Packs. For HP ProLiants there is a new section called HW/SW Support. Within the section HP iQuote users will be able to select Collaborative or Proactive Care Packs. Or just use the Option Search function to quickly shortlist them. Users will also notice that we’ve applied consistent product descriptions which really make your quote look more professional. If you are selling Fixed Care Packs HP iQuote will really help you ! HP Care Pack Descriptions Improved for User Benefits. The iQuote development team have again been busy developing and delivering significant improvements to the iQuote Sales Quotation System. The latest development is an improvement to HP Care Pack Descriptions, therefore descriptions are consistent throughout and contain the right information to allow selection against user needs. How Will Improved Care Pack Descriptions Benefit iQuote Users & HP Consumers? 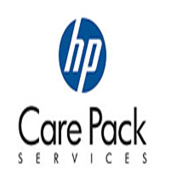 HP Care Packs are extended services for personal and business consumers. Therefore descriptions need to be clear, concise and correct. iQuote now delivers consistent & informative Care Pack descriptions – important as this description is often included on the final quote to the consumer. A small modification that will have significant improvements on the user experience.